GV was privileged to collaborate with sculptor Robert Shure on the design of the nation’s first permanent memorial specifically honoring Puerto Rican men and women who served in America’s military. 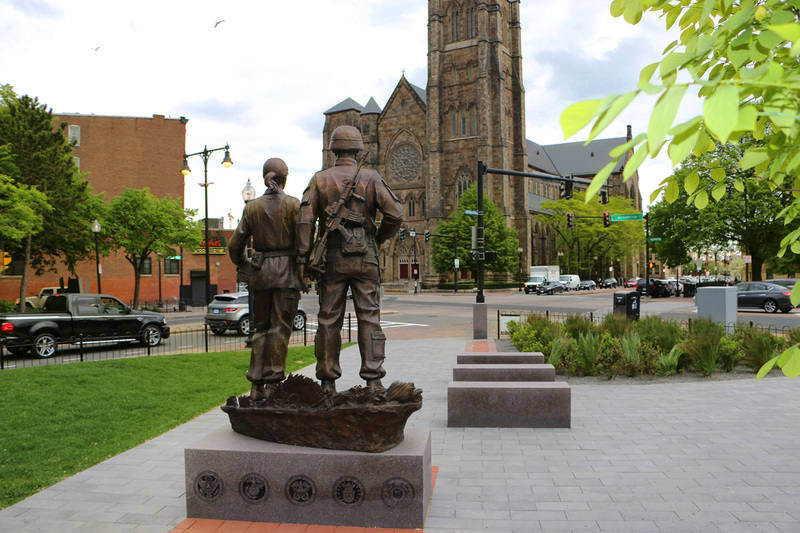 The new landscape takes cues from the axis and masonry of the Holy Cross Cathedral, just across the street from the Memorial in Boston’s South End. GV designed the landscape to adapt to solemn occasions and informal everyday use. The plant palette favors broadleaf evergreens and recalls the lushness of a subtropical garden.